On May 18th 2017, Pope Francis met a delegation of patients and families of the Huntington’s Community in the Vatican. We sincerely thank Elena Cattaneo from the NeurOmics consortium who was part of the organizing committee and invested a lot of time and effort to make this meeting happen. The unique event was attended by approximately 1700 which included 350 family members and patients. People from 26 Countries attended the event with some travelling from as far as Venezuela and Colombia to be part of this memorable occasion. The whole event was organized into two main parts: the first to allowed organizers and associations to speak to the community together for the first time ever, and the second with Pope Francis, who after making a speech, met the crowd personally, taking time to hug every one individually. 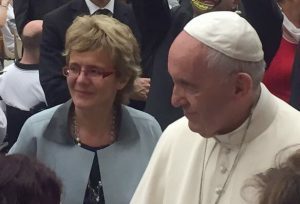 The whole event, entitled HDdennomore, lasted one week and, together with the special hearing with Pope Francis it hosted a series of important side-events (with patient associations, physicians and entrepreneurs). These events will hopefully be the seed for future developments which will improve the lives of HD patients and families in our western countries but also, very importantly in South America. 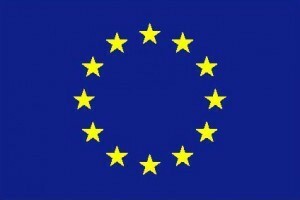 Welcome to Neuromics, a research project funded by the European Commission for five years. In reality, so-called rare diseases are anything but rare. 6-8% of the European population – between 27 and 36 million people – are affected by one of the 5000-8000 distinct rare diseases. We report 2 families with undiagnosed recessive presynaptic congenital myasthenic syndrome (CMS). translate findings to other, related disease groups. Neurodegenerative (NDD) and neuromuscular (NMD) diseases are amongst the most frequent of rare diseases, affecting the life and mobility of more than 500,000 patients and families in Europe.